I still haven’t written about so many things that happened from May until now – my RPC haul, ConQuest, my favourite parts of my internship – but the first thing I’ll catch up with is the move. It being the most life-changing event in my life at the moment and all that. We started on an absurdly hot August 28th by picking up the rented car and then stuffing it to the brim with first Scoundrel’s and then my stuff. There were so many people to help and say their goodbyes (in exchange for the traditional beer and snacks, of course)! 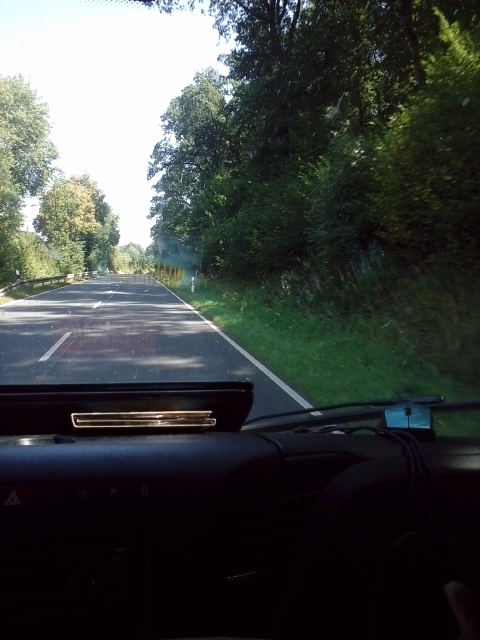 Pwyll had agreed to drive the van to Hanover as neither Scoundrel nor I have a license (yet). We had to take Scoundrel’s plants with us to the drivers cabin because they would have been crushed in the back which meant that there was a giant spider ivy in Scoundrel’s face during the whole three-hour drive. I’m in the jungle. This is my life now. 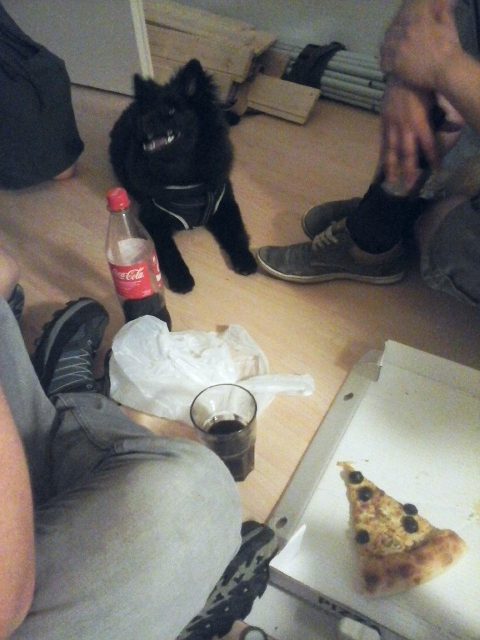 When we arrived in Hanover we were greeted by friends again, ones who already happen to live there (incredibly convenient), plus one friend’s dog. 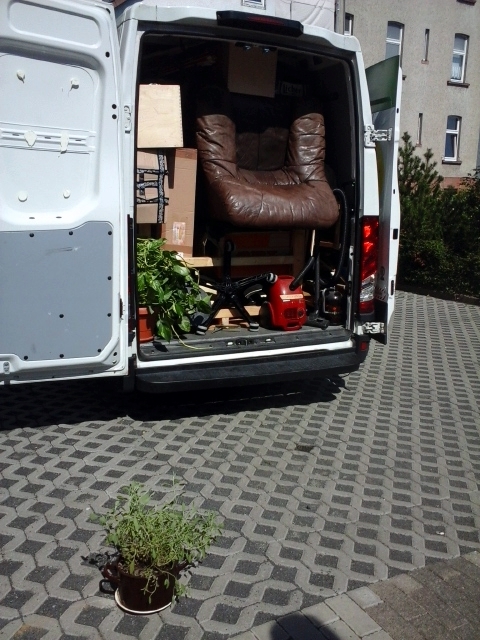 We also met a nice girl whom we promised to take something back to Marburg for, and she had offered to help with unpacking, too. Turns out she’s from Gießen (the neighboring town of Marburg) and only moved here a few months ago, too. And I saw the new place for the first time! While Scoundrel was hunting for flats I was too busy with my internship and my Grandfather’s funeral to come with so it was a surprise. It’s not gigantic but definitely enough for two people, with two bedrooms and a living room, too. I’m really happy! The next day we drove back with a near-empty van for flat renovations and key handovers, accompanied by a soundtrack of Tengger Cavalry, Julie Fowlis, Enter the Haggis and Red Hot Chili Peppers (all Pwyll’s choice of course as he was the driver). We had until the 31st to clear our respective rooms and re-paint them which became a group effort of Scoundrel, Noisette (his now former flatmate who also moved that week but didn’t have to paint and thus was bored) and me. Everything went well with the handovers even though I’ve had my fair share of trouble with my rather unpleasant landlord before and then we boarded the train North (with some difficulties and cancelled connections, but I won’t bore you with that), no return tickets. 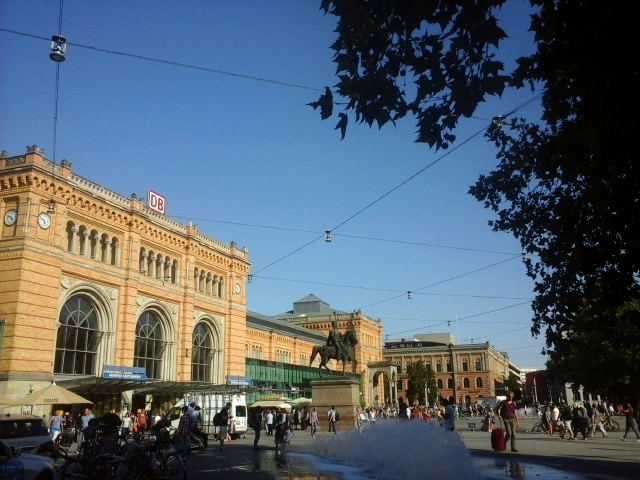 Well, hello Hanover. I hope we can be friends. Some friends of mine started their social life in hanover at it, some others vistit it regulary. I would like to visit https://www.hochschulsport-hannover.de/klettercampus.html soon, as I started climibing some weeks ago. I use to climb when I was in elementary school, together with my parents, but sadly gave it up afterwards. I miss it so it’s great to know that they offer courses here! I believe I have the sofa version of that armchair. Does yours have curved metal poles that lay flat on the ground as legs? I’m glad you already have some friends there! Thanks! The armchair has normal wooden legs, but I think it might have been re-upholstered during the last 50 years so it might as well be the same fabric at least!